Urban growth is extensively transforming the face of the planet. For the first time in human history, more than half of the world's population now lives in towns and cities. 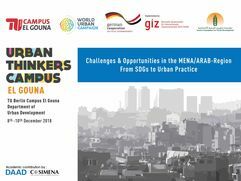 With an average growth rate of 2.1% per annum from 1990-2003, the MENA region has one of the world’s most rapidly expanding populations, increasingly concentrated in urban areas. watch here for good reasons to apply ! 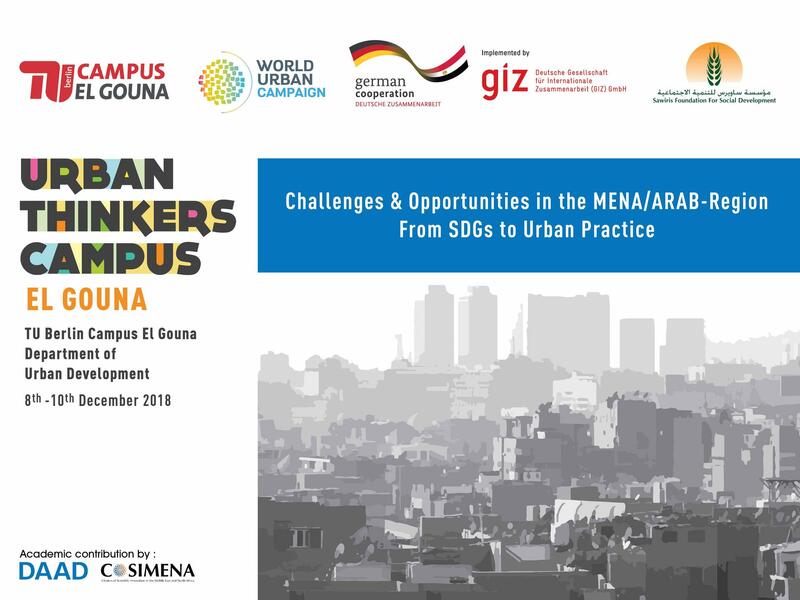 For the first time in Egypt and North Africa the Department of Urban Development at the University of Technology Berlin - Campus El Gouna - together with the GIZ Egypt (Urban Cluster) and the Sawiris Foundation for Social Development - is organizing an Urban Thinkers Campus. 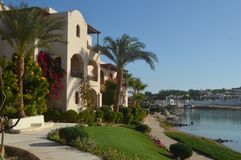 The event will be held from 8th to 10th December 2018 in El Gouna, Red Sea Governorate. We are looking forward to welcoming you to the 15th installment of the popular Community Forum El Gouna, the plattform for exchange and dialogue between the Campus, Orascom and the Community of El Gouna. TU Berlin Campus El Gouna and the Housing and Building National Research Centre in Egypt (HBRC) are proud to announce that all "Quality of Life"- conference articles are now published and available on SSRN by Elsevier. Articles have been archived and announced within SSRN’s extensive e-Library and community and fully displayed publicly in an e-journal with the conference name (link). 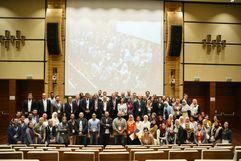 Moreover, the Committee of Architecture and Urban Planning of the Supreme Council of Universities has given the 1st International Conference on “TOWARDS A BETTER QUALITY OF LIFE" an impact factor- 7, which is considered the highest impact factor in Egypt competing ranked international conferences worldwide. Stay informed to participate in the 2nd International Conference on “TOWARDS A BETTER QUALITY OF LIFE" in 2019. 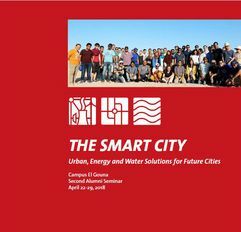 The second alumni seminar on “The Smart City: Urban, Energy and Water Solutions for Future Cities” has been held in Berlin from April 22-29, 2018. 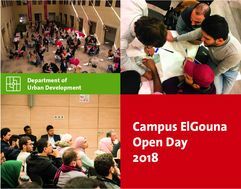 In total, 25 Alumni from Urban Development, Energy Engineering and Water Engineering departments of TU Berlin Campus El Gouna and 18 Alumni from other programs of TU Berlin have joined in the event. 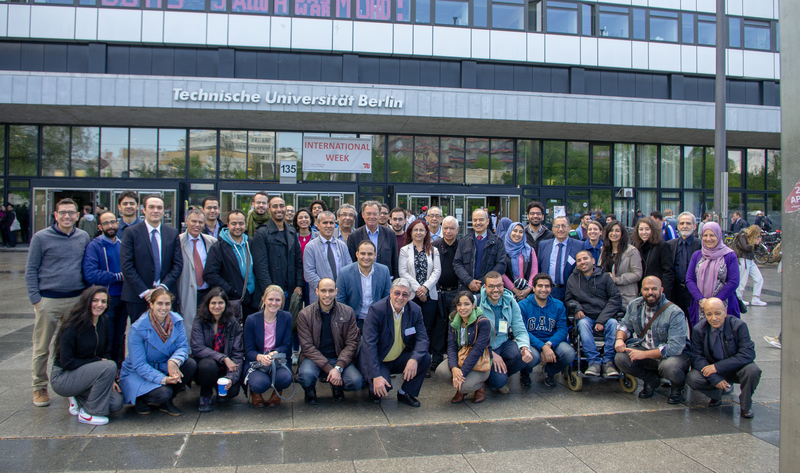 With the alumni; professors and doctorates from different institutes, start-ups in berlin, international organizations and current students have joined the event to make it successful. Exchange is one of the cornerstones of academic progress. 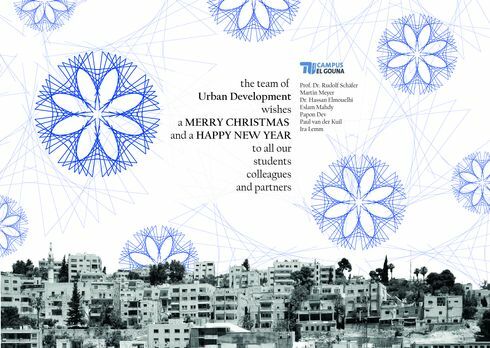 In this spirit, the Department of Urban Development welcomed a team of students of architecture and urban planning from the Misr Institute for Engineering and Technology (MET) from Mansoura to Berlin. Led by Dr. Alaa Elmanzlawi, the group joined the Urban Development students for two days (April 17-18 2018). Two joint excursions into the heart of Berlin and its often conflicted urban history and narratives led by Lukas Born and Achim Schröer, as well as expert input on current urban research in Egypt by the department’s own Dr. Hassan Elmouelhi, a lecture on urban planning from a perspective of spatial legislation and governance by Prof. Dr. Rudolf Schäfer and a presentation by the MET students on their case study of Mansourah City under the title “Re‐Coding the Ethics of Urbanism” gave ample opportunity not only for scientific discussion but also for consolidation of the good relations between the two institutions. 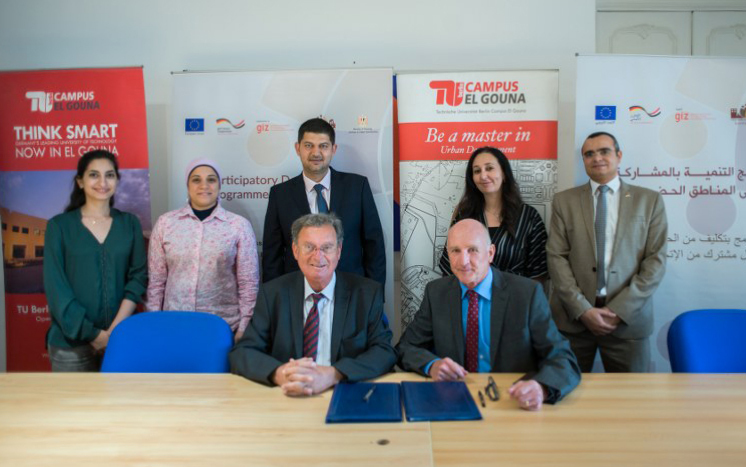 Within the framework of common interest in experience transfer and cooperation between academia and practice in the field of urban development, the Department of Urban Development at Technische Universität Berlin – Campus El Gouna, has signed a Memorandum of Understanding with the Participatory Infrastructure Project (PIP) and the Participatory Development Program in urban areas (PDP) of the GIZ (German Cooperation for International Development) in Egypt. From the 7th to the 9th of May 2018, the DAAD COSIMENA (Cluster of Scientific Innovation in the Middle East and North Africa, as organised by the German Academic Exchange Service) launched its cluster on cultural heritage in the region. 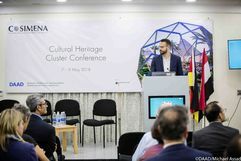 With the aim of promoting discourse on the tangible and intangible forms of heritage, the cluster gathered various disciplines, such as archaeology, history, museology, and geology, as well as cultural studies, architecture and urban design. The Department of Urban Development was represented by its coordinator Martin Meyer. Under the topic of “Engaging Public Memory: An Online Database for Modern Heritage in the MENA-Region”, he raised questions of the postcolonial legacy of modern architecture, its symbolic intertwining of “East” and “West” and the need for a public debate on issues of built heritage and local identities in the Middle East and North Africa. Find more info on the Heritage Cluster here. From April 27 to 29, five students of our master’s programme “Urban Development” had the chance to visit Frankfurt am Main, the financial capital of Germany. 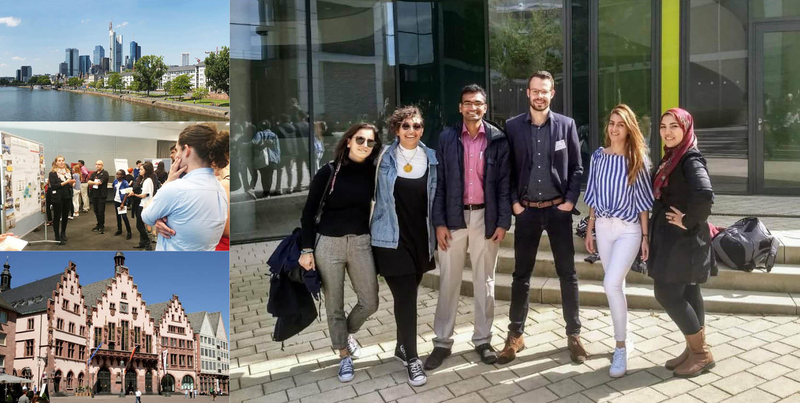 Following an invitation by the German Cooperation for International Development (GIZ), our students Heba, Lamya, Nikhil, Norhan, Sara and programme coordinator Martin Meyer visited the GIZ’s headquarters in Eschborn, where they participated in the agency’s “Students’ Day on Urban Development”. 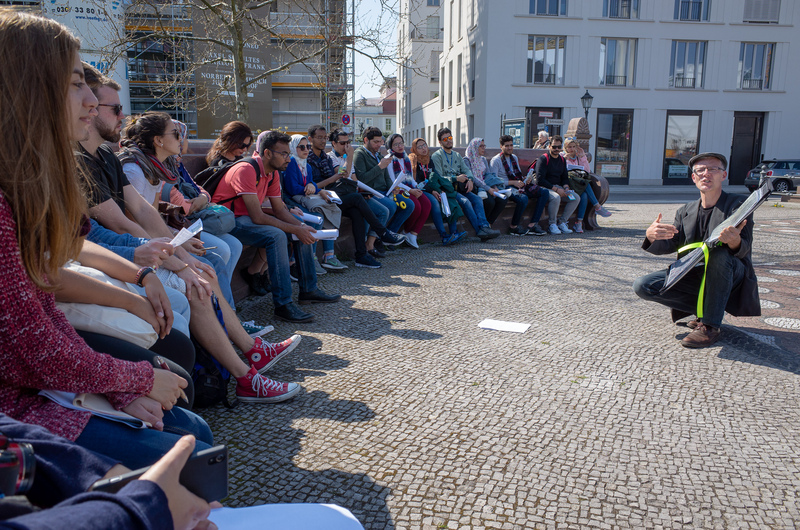 Joining students from BTU Cottbus Senftenberg, TU Darmstadt, TU Dortmund, Frankfurt University of Applied Sciences, University Freiburg, TU Munich and University of Stuttgart, they were introduced to the GIZ projects and approaches to urban development worldwide and its recruiting strategies. It was a great opportunity to network with their colleagues and potential future employers. The second day was spent exploring the urban fabric of Frankfurt and discovering the rich cultural history of the city. To understand the current situation of the Red Sea Governorate and with the objective to deliver support to the development plans of the regional and national governmental authorities, the department of Urban Development (UD) and its students went on an excursion to the area from the 8th until the 11th of February 2018. 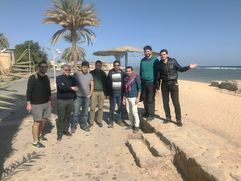 In the excursion the research team visited the historical city of El Quseir, the private touristic city development of Port Ghaleb and the nature park of Wadi El Gamal. The research team was able to get access to a many highly relevant stakeholders and sites and scout for future projects. Smart City is a label that brings together activities and projects at the local level with the global challenges, and links them to developments in science and product design that change the way people interact socially and in space. The view on the subject of smart cities should not be reduced to "high tech" as is often the case, but should be considered above all from the perspective of "appropriate technologies". In regions like MENA less expensive and complex, locally available and established technologies are promising. The Department of Urban Development is now conducting regular information sessions on our "M.Sc. 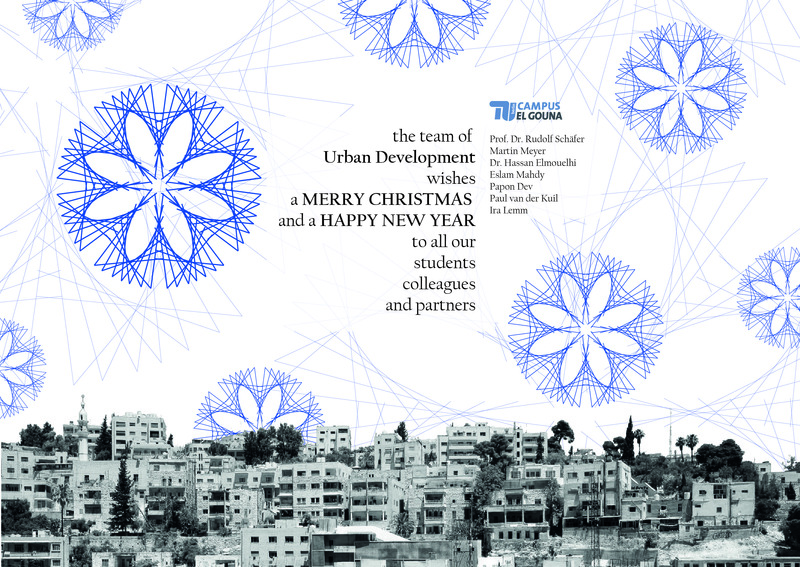 Urban Development" programme every 1st and 3rd Monday of the month. 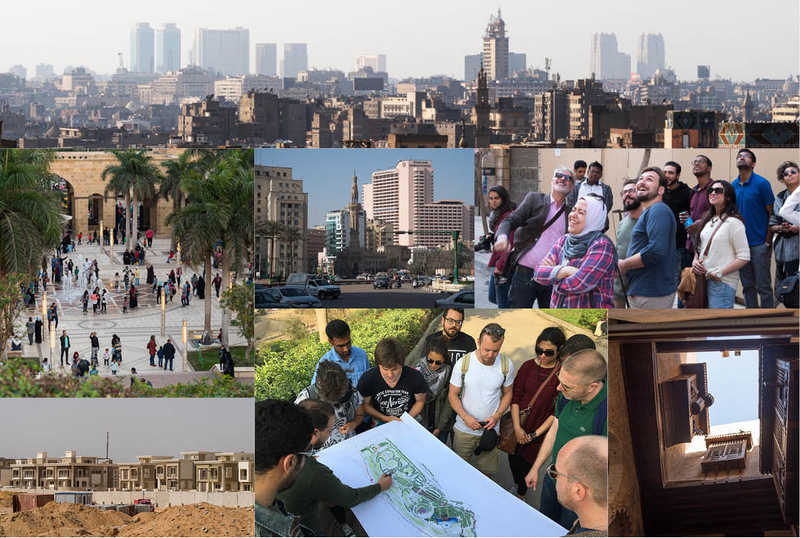 Cairo, February 2018 – Students from the first semester of the Urban Development master program have explored Cairo urbanism through an excursion from 21st to 27th of February. Visiting various urban areas, they have had the chance to engage with urban development experts, activists and planners, through tours, lectures and discussions lectures. 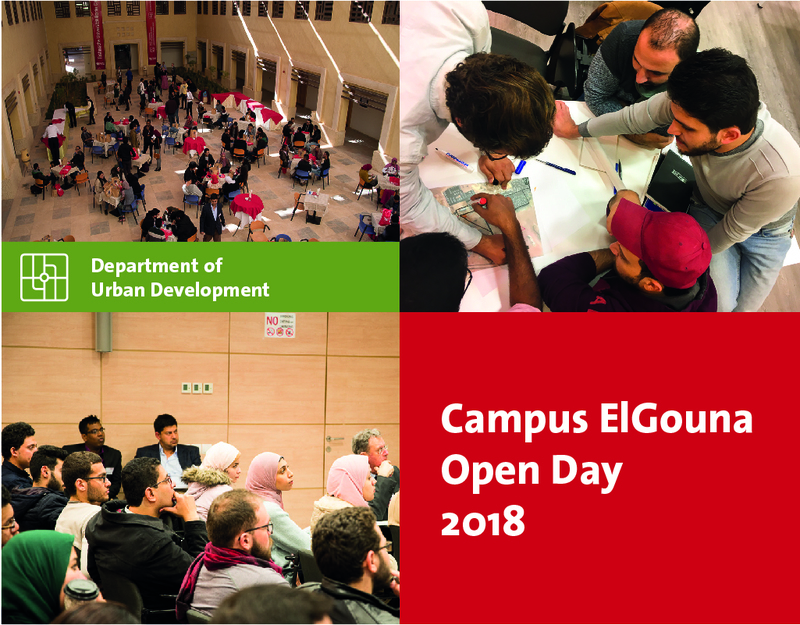 As per annual tradition, the doors of Campus ElGouna opened on January 27, 2018, to welcome prospective students, young professionals and the general public showcasing study programmes, research activities and the facilities of the Technical University of Berlin in its branch in ElGouna, Egypt. Find more news and activities from previous years here.